McDonald's is getting into the cashless payment trend as they partner up with PLDT ALPHA. They are looking to improve their customer's experience with a faster way of paying. Cashless transaction is becoming more prevalent each day. People are looking for faster and better ways of transacting and McDonald's wants to provide that. With their work with PLDT ALPHA, they now have PayMaya cashless payment facilities. Over 40 McDonald's restaurants across the Philippines have already started accepting cashless payments from PayMaya Philippines, which is the digital financial services arm of PLDT. McDonald's will be able to use the PayMaya cashless payment gear including point-of-sale (POS) device, card and wallet authorization, and fraud and charge back management. This payment facility will be more efficient and seamless for the customers as they can use their Mastercard and Visa credit, debit and prepaid cards in purchasing items on the McDonald's menu. In addition to that, PayMaya QR payments will also soon be accepted in select McCafe branches, for booking McCelebrations Birthday Parties and McDelivery. 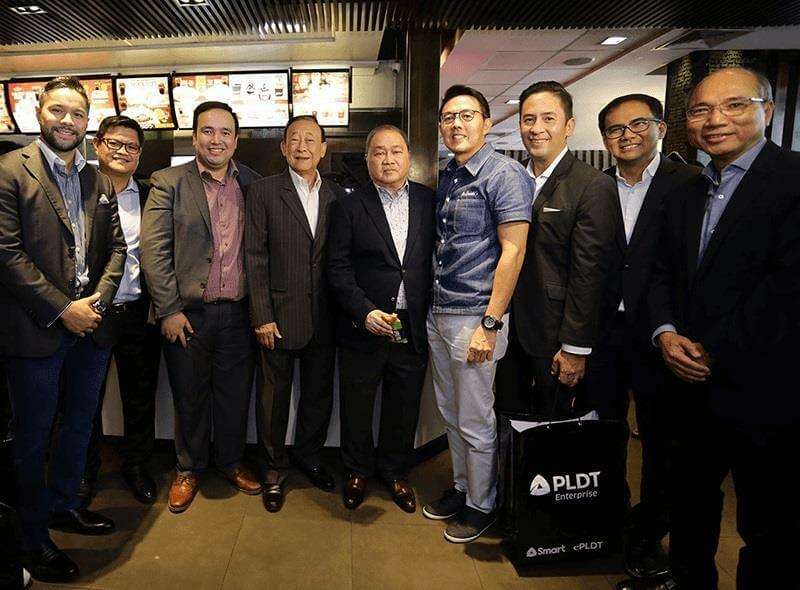 PLDT and McDonald's Philippines has been partners for years now. PLDT is the sole telco provider for McDonald's stores nationwide. Our company has been in business for the past 36 years. However, there are things that still keep us on our toes—fear of change, fear of making mistakes, and fear of being irrelevant. If a brand is irrelevant, then there’s no point in existing. To overcome these fears, we cannot do it alone. It is important to collaborate with experts to enable us to stay on top. Digital is now, if not yesterday, and we need to take advantage of that. With our partnership with PLDT and its various arms like PayMaya, we are confident that we can stay relevant. We have always sought to provide frictionless experience to our customers, and with our ever-growing partnership with the country’s leading telco and digital services provider, I can confidently say that McDonald’s will always be in the forefront of innovation.